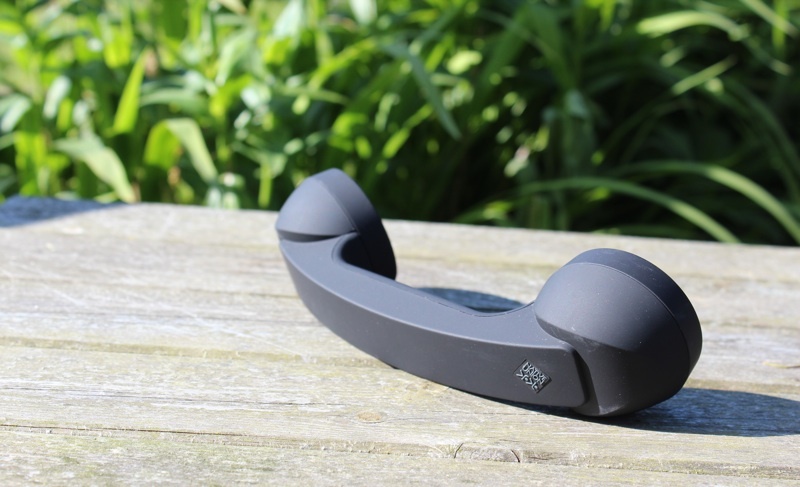 The original retro handset loses its chord and gains Bluetooth. The POP phone from Native Union is seen everywhere. They're placed throughout popular culture constantly, making appearances in music videos and we even spotted them arranged within a few photo advertisements recently. 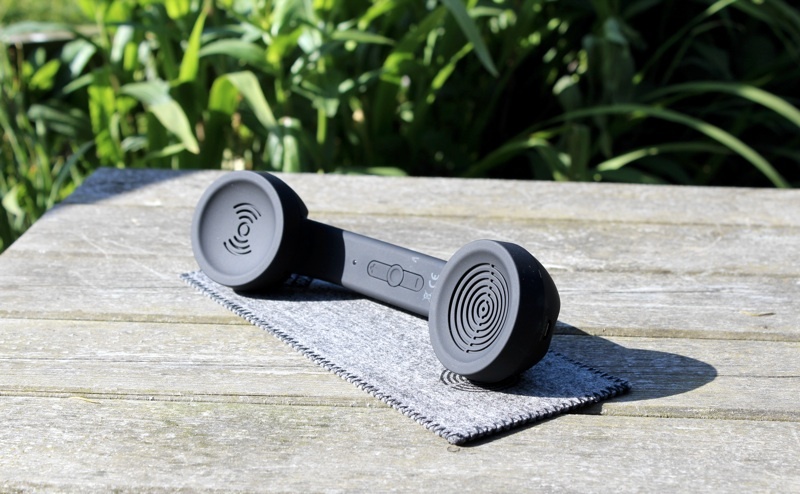 The POP is designed by David Turpin and heavily inspired by the 1950's Bakelite phone, so the phone is both retro and sophisticated in shape which is oddly appealing. The appeal is elevated by the selection of colours available, this new version comes in flash red, neon pink, aquarium blue, neon green, blanc white and the variant which we have that is jet black. The build of the handset is rock solid and lends itself well to being tossed around. It is bigger than an iPhone 5 or a Galaxy S4 and for this reason it can be troublesome to find where to store it on the move. We found it to be more convenient to use indoors, mostly placing the phone on its supplied mat. However, those with bags, satchels and the like at Slinky Studio eagerly took the POP Bluetooth with them. Holding, placing in-between head and shoulders and generally using the POP Bluetooth is very comfortable. Yes this design is old, but strangely feels very organic. For prolonged calls we'd go so far as to say that it makes for a more enjoyable call experience over holding smartphones and cell phones, also freeing up your phone to be used to multitask, if it supports such a feature. Its exterior body is coated in a soft rubbery material which helps to aid a secure grip when held. Also, with the inclusion of Bluetooth there is now increased freedom when compared to the wired version, so using the phone whilst commuting, or even around the house and office, is made easier. Bluetooth performance is obviously a very important aspect of this product. Native Union claim the range achieved is 10 metres and we found this claim to be valid. Bluetooth performance generally was stellar, we didn't experience dropouts or distorted calls from moving the phone around a lot. 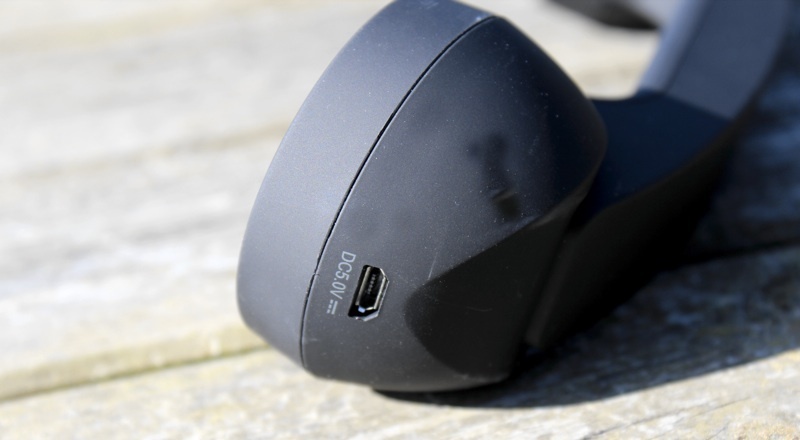 The Bluetooth setup process was a breeze with every device we tested, and because Bluetooth is used in the way of a connection it unlocks further device compatibility other than just smartphones and tablets. This is a decent VoIP product to be used with notebook and desktop computers, but, of course, will work with any other Bluetooth enabled device. Having said this, we weren't satisfied with the level of quality produced from the microphone to the recipient of a call or incoming from the speaker. To start off with, the microphone placemat is slightly misleading, you'd assume it would be placed symmetrically to the speaker placement. This is not the case, it's positioned on the handle, meaning it's very easy to cover the mic whilst holding the POP Bluetooth. Microphone quality is a little echoed and at times faint - recipients of calls actually pointed this out to us. The speaker quality was better, it was clear but not as loud as we'd like. It's not a horrible experience and having conversations was mostly pleasant, but could definitely be better, and the results were consistently the same for every device we tested the POP Bluetooth with. When comparing the wired variant we reviewed last year and the notably good Swissvoice ePure, it becomes very apparent these two other handset options leapfrog the POP Bluetooth. Answering and hanging up on calls is very simple; a single round button located within the inside of the handset enables this function. This also doubles as the on and off button; when double tapped it will trigger an iPhone to call the previous recipient and, if held down for a few seconds, it will launch Siri. Surrounding the button are two volume control buttons, when pressed they reflect the level of volume by playing an old fashioned bell-styled ring. Oddly this sound effect is exceedingly louder than when using the speaker for phone calls. Battery life was acceptable; we achieved 6 hours of talk time and standby time is claimed to be 100 hours. We couldn't quite accurately test this but the battery did last being in standby over two work weeks. Charging the POP Bluetooth is done via a micro USB cable. Overall the Native Union POP Bluetooth is a mixed bag. It's priced at around £36.99/$49.99 (some colours cost a little more and others less) on Amazon, and for that sum we'd have to question whether this product's novelty is worth such an amount. We have no issues with any aspect of the handset other than the call quality, but then its sole purpose is to make phone calls and this it doesn't execute brilliantly, which is obviously a severe shortcoming.